Lobelia is an important herb used for many upper respiratory problems such as colds. For centuries, lobelia tincture and preparations made from lobelia were a major herbal remedy. Today, lobelia has fallen out of favor and little scientific research has been conducted on this North American herbal remedy. However, it holds great promise as a treatment for upper respiratory and bronchial infections. Lobelia is a perennial plant that grows throughout North America. It commonly grows like a weed in ditches and along the edges of highways and roads. It likes acidic soil and is relatively tough, seeming to prefer conditions that would kill other plants. Native Americans harvested lobelia seed pods in the early fall and used the seeds and other parts of the plant in several ways. This herb has the unpleasant name of "puke weed" because if too much is given, it will induce vomiting. The Native Americans used this to their advantage and gave great quantities of lobelia to induce vomiting to treat suspected parasite infestations and to treat venereal disease. Another interesting historical use of lobelia was as a substitute for tobacco. Native Americans introduced Europeans to smoking tobacco leaves. While this was originally for ceremonial - not recreational - purposes, during shortages of tobacco the original Americas substitute lobelia. Scientists have identified powerful alkaloids similar to nicotine inside lobelia, but do not try to smoke lobelia at home! Lobelia tincture came into popular use among herbalists around the middle of the 19th century. Herbalists discovered that lobelia was a powerful bronchial dilator and expectorant. The bronchus (bronchial) tubes conduct air into the lungs. When they constrict or are obstructed by phlegm as during a cold or flu, air cannot get into the lungs and breathing is restricted. A bronchial dilator opens up the airways. Most of the studies on lobelia in modern times have been around its use to help people stop smoking. The thinking is that the alkaloids in lobelia could substitute for nicotine and help wean smokers off of cigarettes and other forms of tobacco. Unfortunately, most of these studies have shown lobelia as ineffective for smoking cessation. More studies on lobelia's medicinal effects are needed. For a comprehensive list of studies conducted on lobelia, visit Memorial Sloan Kettering Hospital's website. Most herbalists recommend lobelia or a mixture of lobelia and other herbs to treat breathing difficulties. If you have asthma or any chronic pulmonary disease, please see a qualified herbalist or a naturopathic doctor before taking lobelia. Do not stop taking prescription medicines for asthma or other lung diseases; see your doctor if you have any questions. When using lobelia tincture, use the lowest dose possible. Read and follow label directions carefully. The University of Maryland website referenced above provides exact dosage suggestions for children and adults. Lobelia can also affect blood pressure. It may cause sudden swings in blood pressure. Those with high blood pressure should not use lobelia except under the guidance of an herbalist or naturopathic doctor. Lobelia tincture and lobelia extracts should not be taken by women seeking to become pregnant or pregnant women. As a strong antispasmodic, it may induce a miscarriage or contractions. Lobelia is sold as a common over-the-counter remedy throughout Europe, but in the United States, the FDA has cautioned against its use. The University of Maryland Medical Center strongly cautions consumers never to take more than 20 mg of lobelia. According to their website, 500 mg doses are fatal. 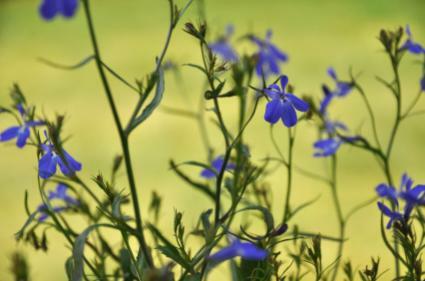 For many people, lobelia tincture can be an effective way to treat bronchitis and other upper respiratory infections. Use common sense, care and caution, and always follow label directions before taking lobelia. Seek the care of a qualified herbalist or naturopathic doctor if you have questions or concerns about lobelia..